The Noquemanon Trail Network (NTN) has started fundraising for the Heartwood Forest Trailhead off M-553 near Marquette Mountain. The Trailhead is a central access point, connecting 40 miles of singletrack through the Heartwood forest, part of the NTN’s South Trails. It will include a new open air pavilion, expanded parking for up to 100 cars and portable bathrooms. 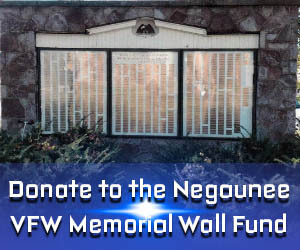 The project is a collaboration between the City of Marquette and the NTN, who plans to donate the structure back to the city when it’s completed. The current trailhead sits on city owned property. The expanded trailhead will offer more parking, which helps with biking events and safety for local riders and visitors that choose Marquette as a riding destination each summer. The 24 foot by 32 foot structure will be similar to others in the city. The NTN hopes to break ground in June, after they present the trailhead layout to the planning commission and get approval from the city council. The NTN is committed to designing trails for all users. The goal is to create a healthier community by improving our fitness, connecting each other and with nature. The trailhead lines up with the NTN’s vision to improve trail access and have 100 miles of singletrack by 2020. Donations and questions can be directed to NTN Director at noquetrails@gmail.com . Inclement weather across the U.P.